Selling a house is often difficult and fraught with emotion. Add a divorce to the mix and it’s downright traumatic. A feeling of sadness and desperation can pervade the house. Often, the initiating partner in the divorce wants a quick sale, whilst the more reluctant of the couple usually prefers to hold out for the best offer. This can really hold up a sale, and leave the poor estate agent having to negotiate between both sellers and the buyer, and play counsellor too – not an easy task! 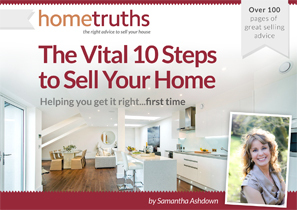 At HomeTruths, we understand the issues, and promise to help you achieve your goal with sensitivity and discretion. Often acting as a go-between or even a mediator, our role is to help both parties sell the home, and to move on with their lives, in every way possible.